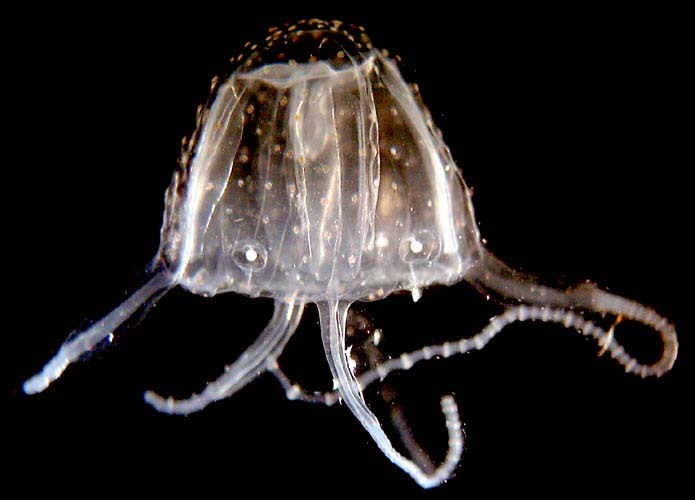 A slight sting from Carukia barnesi, which is always less than 2 centimeters tall (unless it is misidentified), can be a terrible experience, called Irukandji Syndrome, for a human. The name Irukandji derives from the aboriginal tribe that formerly lived in the Cairns region of Australia where most stings occur. At first, the sting is mild. About ten minutes later, the skin where the sting occurred begins to sweat intensely. Within roughly 20 to 30 minutes, there are intense pains in the stomach, limbs, back and head. Breathing is difficult; vomiting or coughing may occur. It is probably lethal, although this has not been definitively demonstrated.